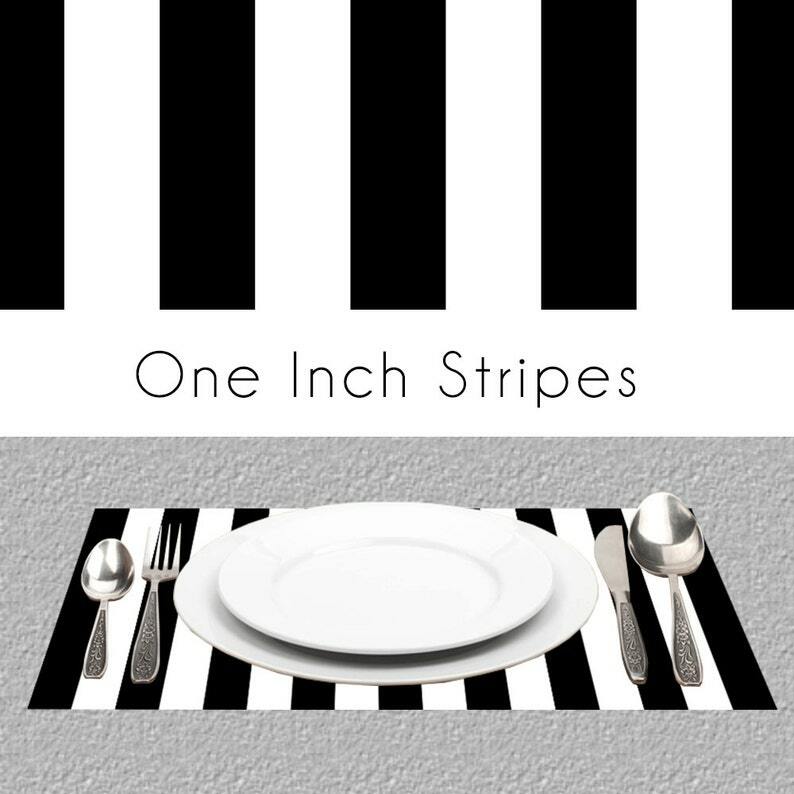 Black and white stripes paper placemats. Our custom paper placemats may be used for wedding receptions, birthday parties, anniversary parties, graduation parties, BBQ's, dinner parties, holiday parties and other occasions. Each book of paper placemats contain 25 Paper Placemats bound together as 1 tear-off paper pad. All paper placemats are printed just for you. Your order will ship once it has completed printing usually within 3 business days depending on the size of your order. Allow additional business days during the Holidays.